Jeulmun ("comb-patterned") pottery is characterized by a rounded, conically tapering base and linear "comb" patterns (parallel lines) on the body of the vessel. 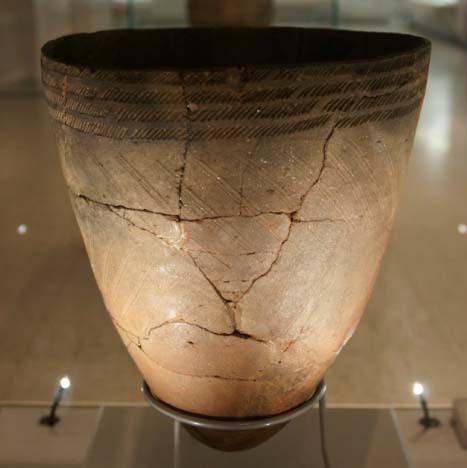 Because this style of pottery resembles that found in Siberia and Manchuria, it is thought that the Neolithic people who produced it, and who were the ancestors of the Korean people, were migrants from those regions. The museum also displays artifacts related to Buddhist art of the Three Kingdoms, Goryeo celadons, Yuan celadons from a Chinese shipwreck, and Joseon porcelains.